Like kids counting down for Christmas morning, journalists, analysts, and watchdogs in the 3D printing industry have been counting down to this day for a very long time: HP has finally unveiled its much-anticipated 3D printing solution. I was present two weeks ago in Barcelona, Spain, where the team from HP pulled sheets off the 3D printer and the Processing Station for the first time for a small group of journalists and analysts, with strobe lights upping the drama and truly enthusiastic applause from just a dozen pairs of hands; today in Orlando, I am present to see the official reveal as HP unveils their incredible new technology to the crowds gathered for RAPID 2016. While I gathered plenty of background information from the HP team in person — keep an eye out for details on the process of the system’s development, as well as exclusive interviews with HP executives Stephen Nigro and Scott Schiller — the key pieces to know first of all include just what has been presented here from a hardware and a software perspective, as well as what this might mean for the market, and for customers who might benefit from the HP Multi Jet Fusion 3D printing ecosystem. Product availability is catered to recognize that not every system is right for every environment, and so the company is beginning with two portfolios available for purchase: the HP Jet Fusion 3D 3200 and the HP Jet Fusion 3D 4200. Both feature, according to HP, accuracy and detail, thermal control on a voxel-by-voxel basis, up to 10x faster printing speeds, lowest cost-per-part, material reusability, an end-to-end solution, and open platform. The 4200, set to appeal to higher productivity levels for prototyping and short-run manufacturing needs and geared toward meeting same-day-business demands, additionally features 25% faster printing, up to 5x faster cooling, even lower cost-per-part, customized and advanced print controls, and the ability to add additional parts to in-progress print jobs to meet urgent needs. As HP 3D Printing Marketing Product Manager Paqui Lizana told us in Barcelona, the systems’ thermal control features 900 points of real time control on the bed, allowing for consistent qualities in every single layer of powder, correcting as-needed on a layer-by-layer basis. The machines feature 3 printheads, each with 10K nozzles, and feature 1200 dpi resolution. Dimensional accuracy is right now at 0.2mm and improving. Set at a disruptive price point starting at just $120K, with systems starting at $145K, the HP Jet Fusion 3D portfolios are set to deliver speed and quality performance, with a completely unique 3D printing technology. Materials are additionally set to feature “aggressively competitive” pricing — and HP’s open platform approach to materials already includes a growing portfolio of partners developing HP Compatible Powders. Evonik, BASF, Arkema, and Lehmann&Voss&Co. are among those developing materials that can work alongside the HP Branded Powders. Companies involved in HP’s partnership ecosystem include Shapeways, Materialise, Jabil, Siemens, and Proto Labs. Following an app store-like model, the pricing for materials will be open to other developers. All third party materials will go through the HP supply chain (HP will make a margin on these materials), ensuring that materials are indeed safe to use and compatible with the hardware. “We hope to get hundreds, if not thousands, of materials,” Nigro told us of the open approach to materials. HP is starting with thermoplastics and is already working toward enhanced materials capabilities. While metals are on the research agenda, HP is currently working to develop plastics/polymers, and is working with a variation of the approach to develop a process for ceramics. While the first generation of the printer will use only single-color technology, color is in the pipeline — and, indeed, multi-color proof-of-concept prints were available for us to examine, as were prints with flexibility, moving parts, and other unique characteristics. The Processing Station, where prints are both initialized and finished, loads the materials — and after the first print jobs, much of the subsequent printing will utilize largely recycled materials, reducing material waste and cutting costs down. In fact, the system uses about an 80/20 blend of materials, with the dominant share being recycled. Xavi Llorens, HP’s Worldwide Marketing Product Manager, told us that same-day iterating and next-day delivery are possible with the system. In 11 hours — during which time an FDM system could produce 50 parts or an SLS system 250 — MJF can print 2500 parts per build unit. Operator training, he noted, is minimal; one operator would be perfectly (and quickly) capable of operating several of the units simultaneously. About 95% of currently 3D printed design sizes, he added, will fit on this tray. HP’s 3D printing system features a 16 x 12 x 16 inch build volume. On the software side, Llorens told us, the HP SmartStream 3D Software is included with each printer. The Design-to-Print workflow and pain points were studied carefully to optimize software performance for the new ecosystem. While pain points for software traditionally include a complex toolset and the need for expert-level knowledge, the SmartStream 3D Build Manager and SmartStream Command Center feature an in-box solution, which can integrate third party plug-ins. The Build Manager comes with the printer, while the Command Center can connect to phones and other technology for additional capabilities. Key to the HP thinking are also the 3MF Consortium, open platform model, and the cloud. The printers will support both .3mf and .stl file types, though the ultimate plan is to base every file on 3MF technology and files. HP, a founding member of the 3MF Consortium, sees this format as the future of 3D printing. 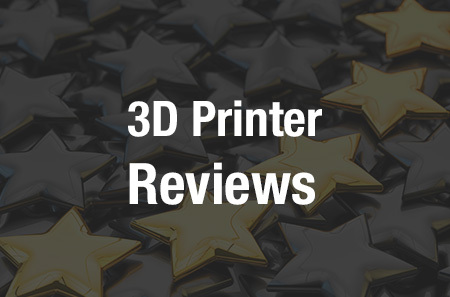 The open platform provides direct access to HP 3D printer APIs; support for new 3D rich file formats; and open, collaborative approach to partnerships. For the cloud focus, Llorens notes that device security is key, and HP will leverage 2D expertise. Discuss this unveiling–finally–in the HP Inc. Shows Off Multi Jet Fusion 3D Printing Technology forum thread over at 3DPB.com.